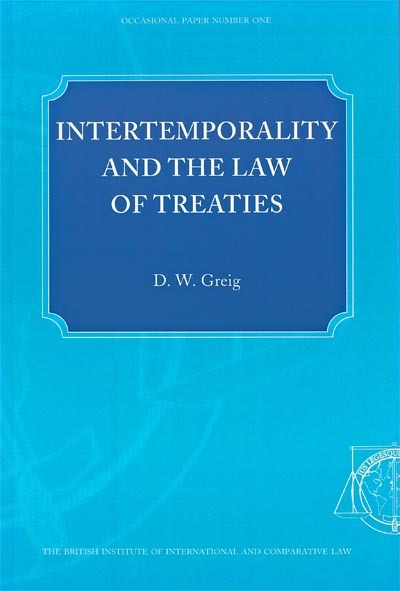 This volume takes concepts such as intertemporal law and critical dates in territorial disputes and considers their relevance to the application and interpretation of treaties. Perceptions of interpretation are bound to change over time, not least because of factors extrinsic to a particular instrument: changing or emerging community values may well influence the outcome of the interpretative process. The question is also addressed as to whether it is appropriate to rely on Articles 31 and 32 of the Vienna Convention on the Law of Treaties in the case of treaties concluded in a much earlier era. "Intertemporality and Law of Treaties"